Bellamkonda Sai Srinivas and Pooja Hegde starrer, Saakshyam, a technically high standard action thriller, helmed by successful director Sriwass is set for a mammoth release on June 14. The film has been extensively shot in exotic locations of Dubai, the USA, Varanasi and other places. Now that the team is back to India after a crucial USA schedule, a fresh schedule has been kick-started in Rajahmundry today. Pooja Hegde is the heroine and the crazy combination of Sai, Pooja with Sriwass has already created huge buzz over the project. Meanwhile, Saakshyam teaser has got wide applause with over 3 million views and makers are delighted with response. Kudos to Sriwass for coming up with a different style of making a film and he is here to thrill us with a unique concept. 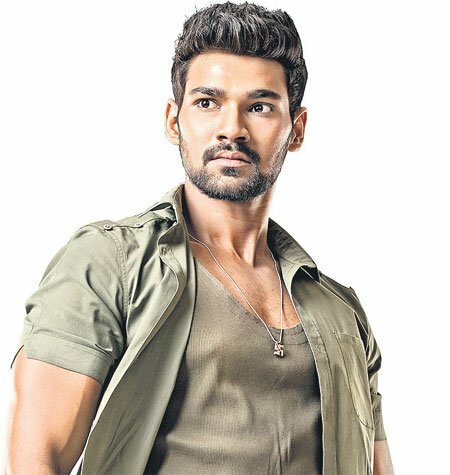 Bellamkonda Sai Sreenivas has undergone a tremendous makeover for this new macho look and will showcase a chiselled body, besides a new diction while delivering his dialogues. Saakshyam is made on a huge budget with top-notch technical standards by hiring world-class VFX technicians. Wizard of valuable words, Sai Madhav Burra penned dialogues for this content-driven film that is being produced by Abhishek Nama on Abhishek Pictures banner.